Hiya, glad to be here. 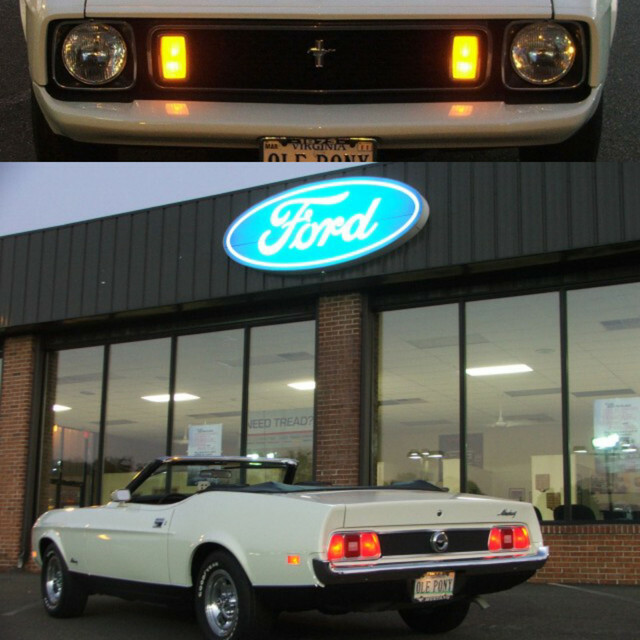 Orig owner (first car) 73 Mach 1, Q code, 4 speed, sports int, bright red, black int. Am currently pursuing my 13th restoration (the first 12 didn't take) ha ha. Car is almost back together with fresh paint, new fenders (no plastic on body) and new interior, just don't have the free time I need. Nice to meet you folks, am eager to help all and also ask for help. Hi Lou! Welcome to the forums! Glad to have you aboard! Welcome to the site, Lou! Do you have any pics? Sounds like an awesome "project". Wow - thirteen! I imagine that you have about every single piece memorized. Original owner! I will be looking forward to some pictures of your car through the years and in it's current restoration. Original owner - indeed how cool is that! Hi Lou and to the forum. I´m looking froward to seeing some pictures of the car. Welcome to the site Lou. I'm looking forward to seeing your car. Not so sure I like a bright red 73 Mach1 ! Welcome aboard! Welcome to the site from Virginia. Post up some pics when you get a chance.